​The Binners' Project is currently working on an application aimed at increasing economic opportunities for binners. It will allow residents to work together with binners to ultimately achieve a zero-waste city. ​This will support the pick-up services program that is already implemented by the Binners’ Project in Vancouver. We initiated a partnership with VanHack in January 2016, which kickstarted our app project. The Binners App is an initiative developed in partnership with VanHack. ​VanHack connects international tech talent to the Canadian market by giving them the skills, mindset and network needed to get a job. The development of this app rely on the following team of experts, all working collaboratively with Binners' Project Director Anna Godefroy. 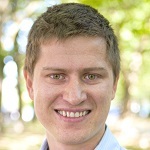 Ilya has been facilitating the app development by connecting the team of future Canadian to the Binners' Project staff. As the CEO of VanHack, he fosters economic development by empowering international tech talents to get the skills and connections they need to join the Canadian startup scene. He is also a mentor at Spring, where he facilitates the Kick Incubator and helped grow the program. After a BS at Cornell's Dyson School of Business in 2010 and he took a leap and spent 4 year working in the Brazilian startup community where he raised over $500,000 in seed funding, closed over $300,000 in B2B sales. ​He is also the founder of Mountains for Moms, a charity fundraising climb of Mt. Kilimanjaro that has raised over $50,000 for women suffering from obstetric fistula. 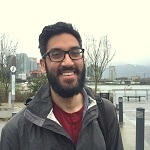 ​Gurraj is a 4th year UBC student specializing in Environmental and Social Economics. He believes that institutional policies, such as adequate welfare, and local citizen driven engagements are essential to the development of healthy individuals, who act as the building blocks of resilient communities. Through grassroots engagement, he wishes to gain a better understanding of what builds communities and apply these experiences to welfare and health policies at a macro level. Gurraj has been volunteering for over a year with the Binners' Project and had helped the team develop a number of pilot programs. 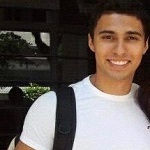 Matheus is an iOS developer with diverse experiences building phone-based apps. 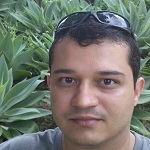 Matheus is the Lead iOS Developer and Project Manager for this app development. Samuel is a senior software engineer, who believes technology can be a powerful way to alleviate poverty. ​He is in charge of building the server for the app. 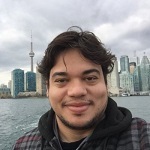 Julio is a software engineer and software developer, with a special interest in web and mobile development including technologies such as Ruby on Rails and Python. He is in charge of building the IOS app version. 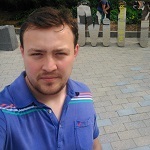 ​Emerson is a web developer passionate about technology, coffee and woodworking. 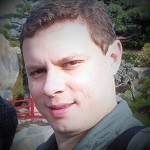 ​ He is in charge of building the web app version. 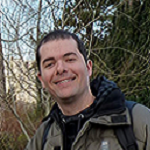 ​ Felipe is eager to learn and share knowledge, which is what he does as a professional programmer. He works on the Android version of the Binners' Project app. 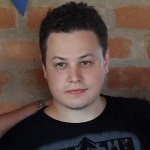 Bruno is an enthusiastic senior art director and a junior iOS developer, with 14 years of experience. He brings expertise in Creative Concept, Digital Branding and Mobile Solutions. He currently works on the design of the Binners' Project app. 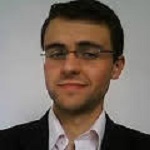 Leo is a senior Java systems analyst and Java team lead. He has developed data intensive software and dynamic systems. He is the lead backend developer for the Binners' Project app.